BrakesZone provides a fuel injection service to determine if there are issues with your car’s fuel injectors. Dirty fuel injectors can result in poor acceleration, lower power, poor fuel economy, rough idling and an incorrect air/fuel mix. They can also lead to higher carbon monoxide emissions. It doesn’t take much to clog your fuel injectors either. Their openings are roughly half the size of a pinhole. It only takes an 8% to 10% blockage to cause a misfire in your engine. That’s why it’s so important to have your fuel injectors serviced every 24 months or 30,000 miles. Regular fuel injector cleaning will improve your vehicle’s acceleration. You’ll save money on gas and cut down on harmful emissions. It can even extend the life of your engine. 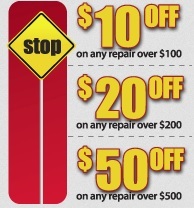 Looking to save on your next fuel injection service? 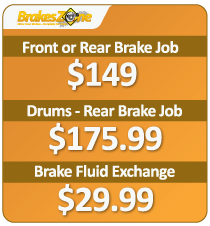 BrakesZone offers great savings with our fuel injection service coupon to help you save even more!